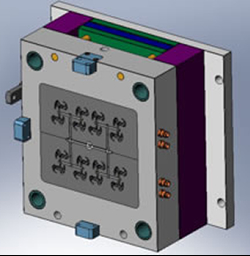 Our experienced team can provide an in-house CAD design facility with full prototyping service. We can produce from any 3D dimensional drawing the most complex of components and manufacture prototypes in various strong plastics which offer greater strength than previous SLA prototyping methods. With 3D printing the production of prototypes has become faster and less expensive, although if preferred prototype tooling in aluminium can be used, the main advantage is that any material can be used. Having decided on the design of your component our tool makers can then specify, design and make your tooling in-house. However, if it is more cost effective we can also use our equally experienced overseas supplier. Small batch runs can be supplied of new parts enabling you to see how the component performs in situ before committing to production tooling. Throughout the tool-making and prototyping phase our tool makers and specialist engineers are always on hand to offer help, advice and assist in the development of your custom part. © 2013 Moulded Plastic Components Ltd, Gosport, Hampshire.